Has Mourinho lost the charisma battle to Jürgen Klopp? Liverpool Football Club has a proud tradition since the days it dominated English football winning multiple league and European titles. Then there was the era of Manchester United and of increasing hostility between the clubs or at least between fans and most of the players.Now backed by Russian and Emirate wealth, Chelsea and Manchester City battle for supremacy in England, with the best players and managers that money can buy. Chelsea has brought back into the fold as their manager the ultimate Charismatic, Jose Mourinho. Liverpool after a brief flash of promise under Brendan Rogers lose their best player Luis Suarez, and then start the 2014-15 season badly. Something must be done. Shortly before the Merseyside Derby match with Everton, Liverpool sack Rogers in the pusillanimous modern way with a telephone call. An announcement by the club after the match suggests a replacement will soon be arriving. Liverpool fans tend to use religious metaphors to describe the arrival of a new manager, who is hailed as their Saviour. These epiphanies are joyful, and and make subsequent reality checks all the more painful. A few rumours emerge that Jürgen Klopp, One of the most exciting and charismatic international managers, will be coming to Merseyside. To add to the piquancy, Jose Mourinho is struggling with an even poorer start to the season by Chelsea. His witty and engaging press conferences are also going badly. Then a few days later. An announcement. It is true. He is coming! Klopp’s captivating smile arrives in Liverpool, shortly followed by the great bespectacled one himself. The first Press Conference is an outstanding success. Klopp captivates fans and journalists alike. Maybe the journalists are waiting for a replacement in their affections for the increasingly petulant Mourinho. The Telegraph thinks so: ‘Liverpool manager dazzles on his first appearance since being appointed as manager at Anfield’ it burbles. Klopp’s vision is clearly and excitingly articulated. Given time, but not all that time, under his leadership Liverpool will become great again. His grasp of English is impressive, this and his accent are additional assets. His humour is self-effacing. He adds one little piece of mischief which set ups future battles with Mourinho, the self-proclaimed Special One, and with the financial might of Chelsea. Klopp thinks of himself as an ordinary human being. A nice message even if likely to go unheeded. Yes, he added with great timing, not special at all. Maybe you can think of me as the Normal One. This entry was posted on Sunday, October 11th, 2015 at 7:41 am and is filed under Uncategorized. You can follow any responses to this entry through the RSS 2.0 feed. You can leave a response, or trackback from your own site. 3 Responses to Has Mourinho lost the charisma battle to Jürgen Klopp? 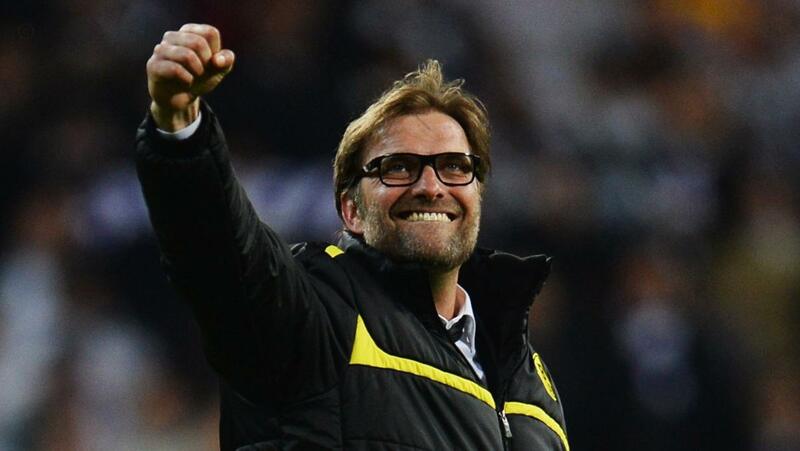 Klopp is the flavour of the month, and is in demand after masterminding Dortmund’s revival. It helps that he is foreign, and attempts to play a high tempo pressing game instead of route one footy. Possibly flavour of the year. I am reading ‘The Special One’ by Spanish Journalist Torres (not the football player).